Mitopus morio is one of the most widespread species of harvestman in the world (see also my post about harvestmen on Iceland). Now researchers have figured out that this species is actually at least 3 different ones. It was already known that Mitopus morio has both short- and long-legged individuals. After someone observed a short- and a long-legged individual refusing to mate with each other in the field, researchers decided to study whether these two forms were in reality different species. They collected hundreds of individuals from two areas in Austria and carried out mating trials, measured nineteen different body parts and analysed DNA from multiple areas of the genome. In the end, they found out that there were not two, but three different species. Interestingly, these turned out to be ‘cryptic species’: indistinguishable for the human eye. The length of the legs that the study started out with did not differ among the species, each one having both long-, intermediate- and short-legged forms. But the mating trials and genetic differences were in line with each other, pointing out the existence of three distinct groups. Using morphology for identification appeared to be possible, but only when taking into account several morpholocgical characters at the same time. To make it even more complicated, the characters are quite difficult to measure and the sets of characters to be used are different for females and males. For females you can for example look at the length of tibia of pedipalpus, the number of medial bristles on the tarsus of the pedipalpus and the number of spines on tibia II (still hanging in there? ).The combination of these three characters gives almost 100% certainty on the identity of a specimen. For males a good set of characters is the interocular distance, the length of femur of pedipalpus and the number of distal bristles on the tarsus of pedipalpus. Of course this is based on Austrian specimens only – it is unknown how many ‘Mitopus morio-species’ exist in other parts of the world, let alone how to identify them. So, I guess that for us opiliophiles there is not much that will change, unless we take along a portable lab into the field from now on. Anyway it’s fascinating to think how many more species might exist that we just don’t recognize, don’t you think? To read the full story, take a look here. There’s a video of two specimens of Mitopus morio mating during the trials available too. The scientific publication can be found here. W. Arthofer, H. rauch, B. Thaler-Knoflach, K. Moder, C. Muster, B.C. Schlick-Steiner, F.M. Steiner. How diverse is Mitopus morio? 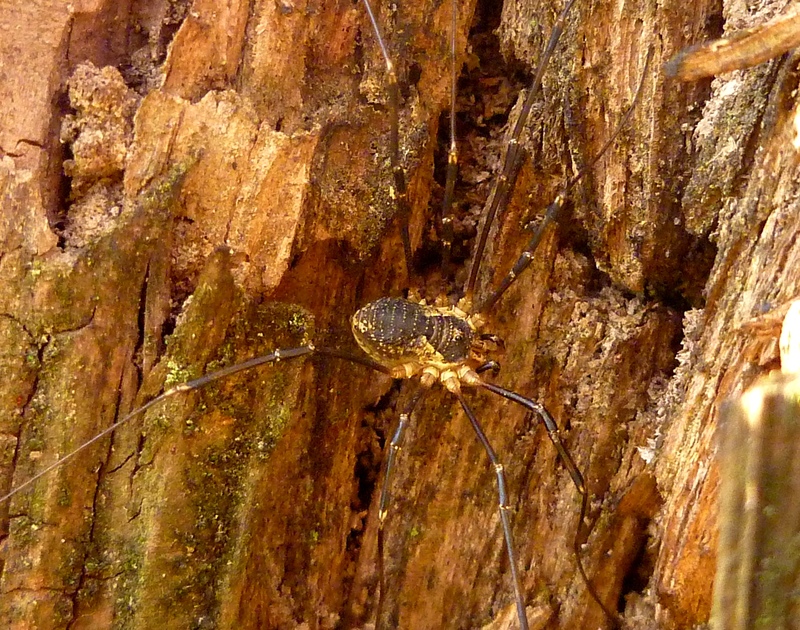 Integrative taxonomy detects cryptic species in a small-scale sample of a widespread harvestman. Molecular Ecology 22, p. 3850-3863.